Our Aim is to provide a loving place for education and growth. A place where you have absolute confidence that when you leave your child with us, they are loved, protected and given a strong foundation. Having loving, understanding and approachable staff. Having a home from home, warm environment. Equipment and teaching that provides up-to-date and fun learning experiences. Support for the children and their family. Working with other services, professionals and schools. Keeping up to date with your child’s progress. It’s important to us that you share your child’s learning experiences and that you get to be apart of their time at Nursery. Tapestry allows you to do just that! 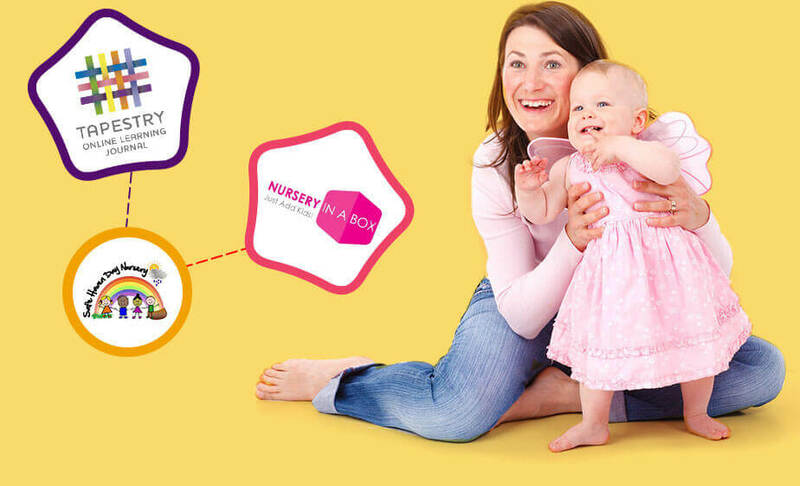 Allows you to see some of the tings they get up to at nursery with development targets met. It’s also a great place for you to share learning experiences that you have at home and we can then extend and continue them at nursery. Keeps you up-to- date with invoices, booked sessions etc. and allows you to easily emend your information form home.